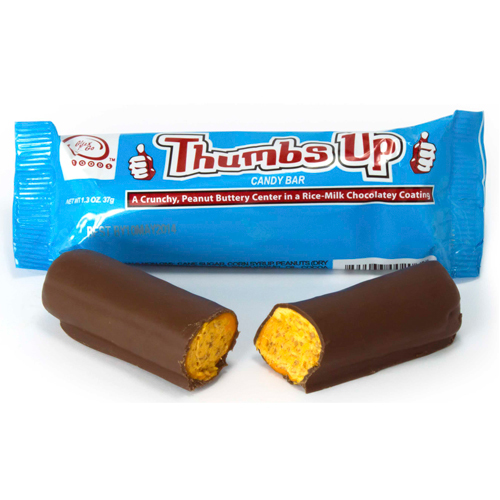 Move over Butterfinger, there's a new digit in town! A crunchy, peanut buttery center is coated in a rice-milk chocolatey coating. Ingredients: Cane sugar, tapioca syrup, peanuts (dry roasted), organic unrefined cane sugar, palm kernel oil, cocoa powder (natural), salt, sunflower lecithin, corn starch, natural color, natural flavor, tocopherol (vitamin e). From the package: Not suitable for consumption by persons with an allergy to milk. 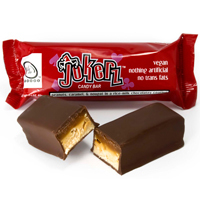 This product is manufactured in a facility that produces products containing dairy, eggs, wheat, peanuts, and other tree nuts, therefore trace amounts of these ingredients may be present. Additional information from the manufacturer: All equipment thoroughly cleaned before products are run. Misc. info: Package states ingredients are Non-GM. Gluten-free info: Package states Certified Gluten Free. Additional information from the manufacturer: Gluten level is tested and is less than 5 ppm. Even made my picky husband happy! 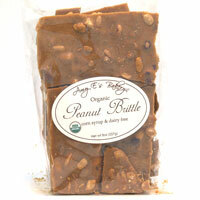 My husband loved Butterfingers, and hasn't been able to enjoy them since we started eating all-natural foods. He loved this and said it tastes just like it! I loved it too!! Very yummy. Really good! Just like the Butterfinger I remember! This one is a definite winner!! This tastes great! Tastes very much like the Butterfinger brand. Highly recommend.